Let’s celebrate the undersung heroes of your urinary tract, the kidneys. The kidneys are two fist-sized organs below your ribcage on either side of your spine. They filter your blood, remove excess fluid and maintain the balance of minerals in your body to help regulate your blood pressure. Blood flows into the kidneys through the renal artery, then the organ’s powerful cells, called nephrons, remove excess fluid and waste, which become urine. 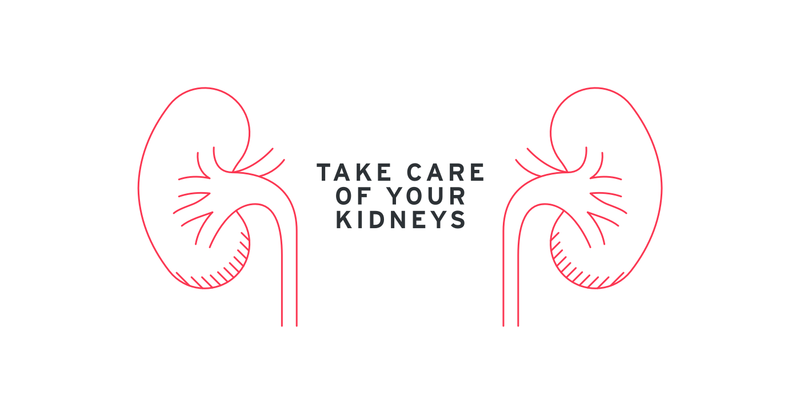 For a typical adult, the kidneys can filter over 37 gallons each day. When something goes wrong with the kidneys, waste remains in your system and can result in profound health problems. Chronic kidney disease (CKD), defined as kidney problems lasting longer than three months, can be diagnosed with specific urine and blood tests. Risk factors include diabetes, heart disease, lupus, obesity and a family history of CKD. Additionally, your risk for CKD rises as you age. With proper treatment you and your doctor may be able to prevent the onset of kidney failure, which necessitates dialysis or transplant. If you’re diagnosed with CKD your treatment may include lifestyle changes and regular medication. If you’re at risk for developing CKD your doctor should monitor key health information, including blood pressure, cholesterol and A1c. The A1c test measures glycated hemoglobin to determine how well your body has managed your blood sugar in the previous two-to-three months. It’s a useful diagnostic tool for diabetes and heart disease as well. In addition to regular checkups, manage your A1c, cholesterol and blood sugar through a diet centered on fruits and vegetables and regular physical activity. If you have been diagnosed with CKD, your doctor may prescribe medication. Medications include diuretics, ACE inhibitors and angiotensin II receptor blockers. Diuretics help your kidneys remove excess fluid, while the two other medicine classes work by managing angiotensin, a protein related to elevated blood pressure. Diuretics: Diuretics like furosemide direct your kidneys to eliminate more fluid from your blood. In some cases, they can be helpful in managing hypertension, congestive heart failure and CKD. Angiotensin-converting enzyme (ACE) inhibitors: Used to treat heart, kidney and blood vessel problems, these medications work by reducing the amount of blood-vessel constricting enzymes produced by your body. Popular ACE inhibitors include lisinopril, benazepril, perindopril and trandolapril. Angiotensin II receptor blockers (ARBs): These medications inhibit angiotensin II from binding to receptors, thus dilating blood vessels and reducing blood pressure. ARBs include losartan, Edarbyclor, Atacand and Avapro.